Used by many fitness enthusiasts, the Spirit Z500 treadmill is another great addition to the company's treadmills line. It offers a strong motor, nice incline capability, a variety of built in programs and a very hefty max user weight. If you're looking for something a step up from your everyday entry level treadmill, this one might just have exactly what you need. In keeping with the quality of other Spirit treadmills, the Spirit Z500 offers features that last longer than your running shoes will. Convenience is the strong selling point of this treadmill, with easy to use buttons located right on the handlebars for a number of features such as speed and elevation angle. The Spirit Z500’s ergonomically designed controls are well within reach. UPDATE: The Spirit Z500 treadmill has been discontinued and is no longer available for sale. The current Spirit treadmill lineup consists of the XT185, XT285, XT385 and XT485 models. The closest model to the Z500 would probably be the XT285, but that model has a larger running deck (20" x 60") and a stronger warranty. We would look at the XT285 and the XT385 to see which one most appeals to you. The top of the line XT485 is an awesome treadmill, but at over $2,100 it's a bit pricey in our opinion. Experts who rate treadmills often find that Spirit treadmills are some of the most useful treadmills to exercisers. Not only do they include advanced heart rate monitoring, the Spirit Z500 treadmill also offers heart rate auto pilot to help with keeping your heart rate steady throughout the workout, depending on your fitness level. Although the machine can accommodate heavier weight than most treadmills, with it's shorter deck and 10 mph top speed, it's definitely more for casual use than serious running. Taller users, as well as those who really like to go all out, would probably be much better served with one of their higher level treadmill with larger decks and speeds up to 12 mph. But if you are average sized and more of a walker or jogger, the Z500 will be perfectly fine for your home gym. Some users tend to have difficulties with hand grip heart rate monitors, but the Spirit Z500 seems to get the angle just right. Professional users find the heart rate monitor easy to use while running or walking. Consumers appreciate the treadmill warranty which offers the peace of mind that the Spirit Z500 is built to last – lifetime frame and (nearly lifetime) thirty year motor warranty. This is a stellar addition to the Spirit line. The Spirit Z500 treadmill is a great blend of function, user friendliness and durability with a moderate price tag. 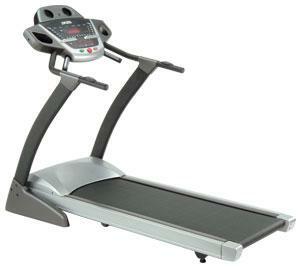 Other similarly priced treadmills are hard pressed to keep up with this model, so it's definitely worth looking into. Editor's Note: As this model is no longer available, look into the newer Spirit lineup, which runs from about $1,399 for the base model to about $2,399 for the most advanced model. 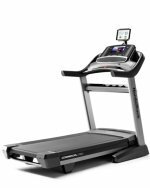 Also consider Sole and NordicTrack treadmills in this price range, as they have some very good models that have more features and capabilities, plus more advanced consoles on most of their machines.